Enjoy the best inspirational, motivational, positive, funny and famous quotes by Anya Kamenetz. Use words and picture quotations to push forward and inspire you keep going in life! The idea here, of course, is, you know, mathematics is the language of science, it's the way that we understand the natural world. 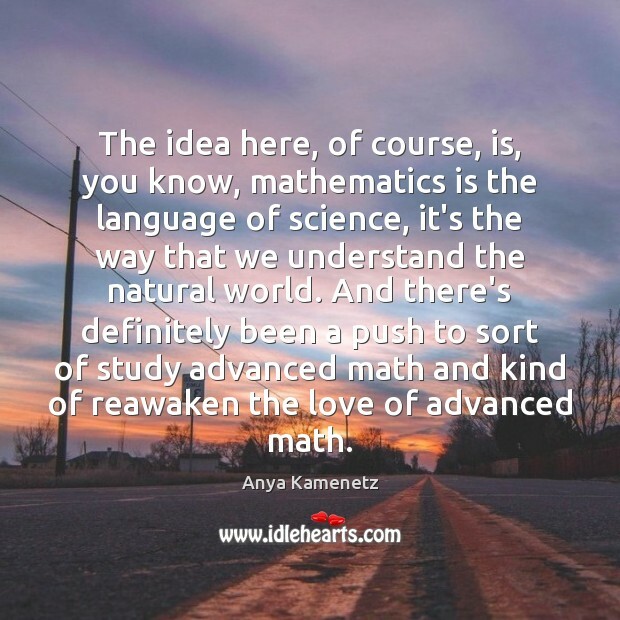 And there's definitely been a push to sort of study advanced math and kind of reawaken the love of advanced math. 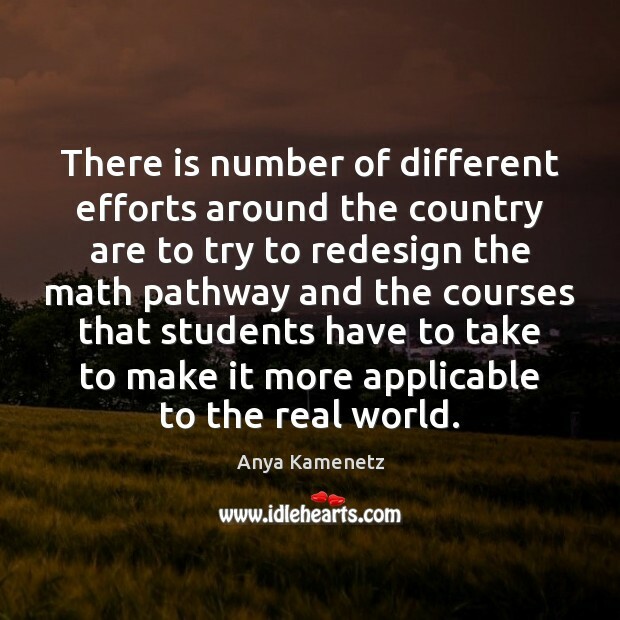 There is number of different efforts around the country are to try to redesign the math pathway and the courses that students have to take to make it more applicable to the real world. Andrew Hacker argues that algebra and trigonometry and calculus are subjects that almost nobody used after they graduate, and so why should we continue to compel students to try to pass them? 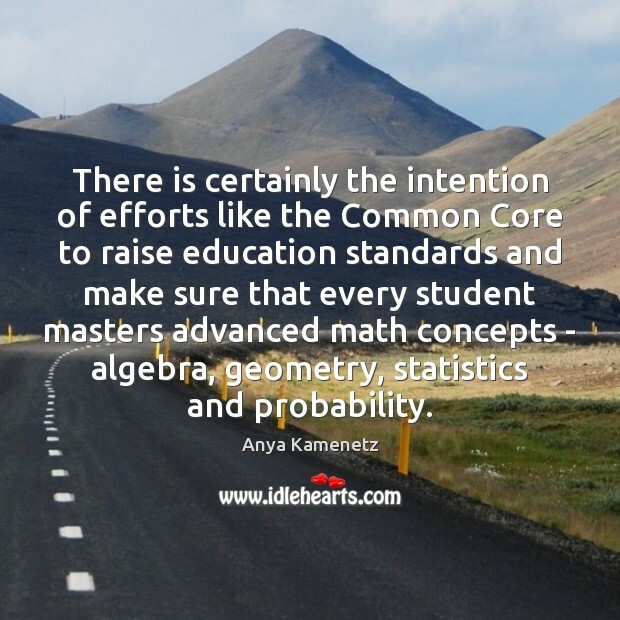 There is certainly the intention of efforts like the Common Core to raise education standards and make sure that every student masters advanced math concepts - algebra, geometry, statistics and probability. 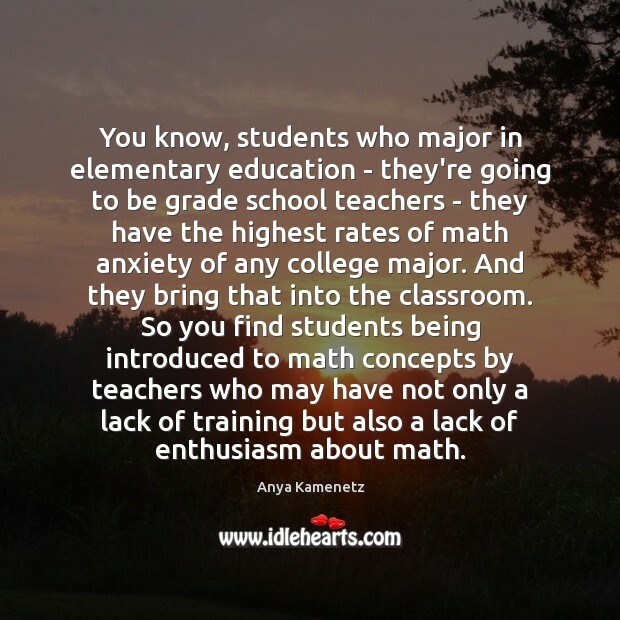 You know, students who major in elementary education - they're going to be grade school teachers - they have the highest rates of math anxiety of any college major. And they bring that into the classroom. So you find students being introduced to math concepts by teachers who may have not only a lack of training but also a lack of enthusiasm about math. A majority of students who come into community colleges are still stuck at high school level or remedial math. And when they take it in college, they still don't pass it. 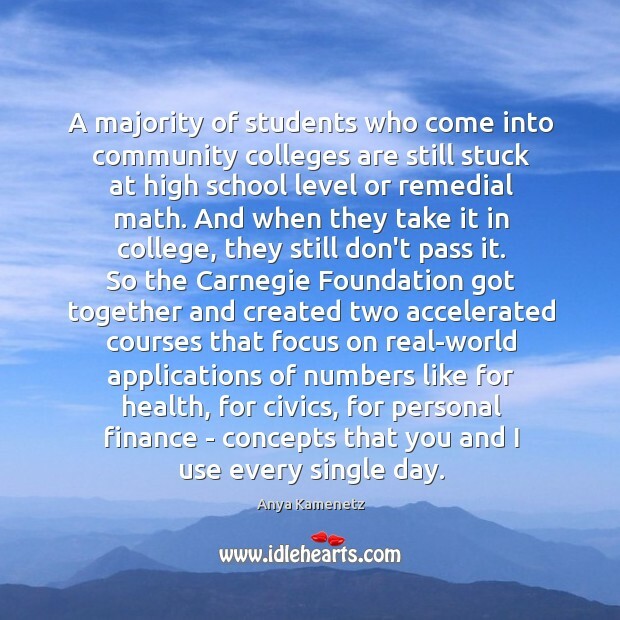 So the Carnegie Foundation got together and created two accelerated courses that focus on real-world applications of numbers like for health, for civics, for personal finance - concepts that you and I use every single day. There are certainly lots of jobs in computer coding, but coding doesn't really require advanced mathematics. And engineering jobs, they vary widely in the amount of demand that we actually need. 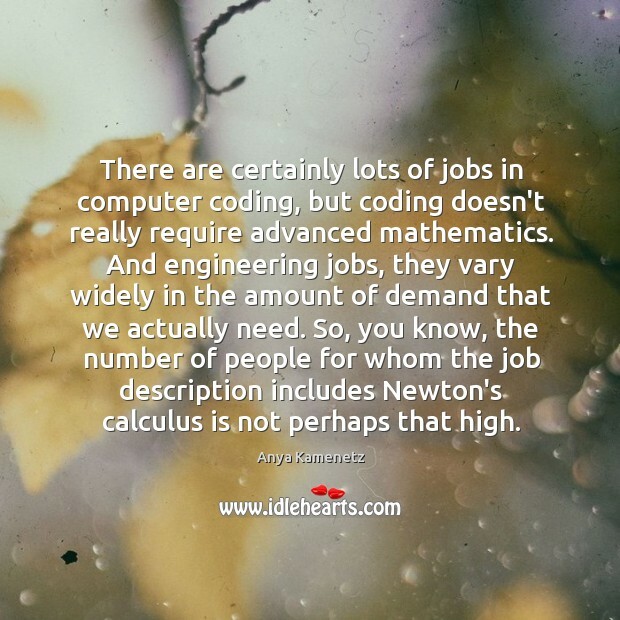 So, you know, the number of people for whom the job description includes Newton's calculus is not perhaps that high.